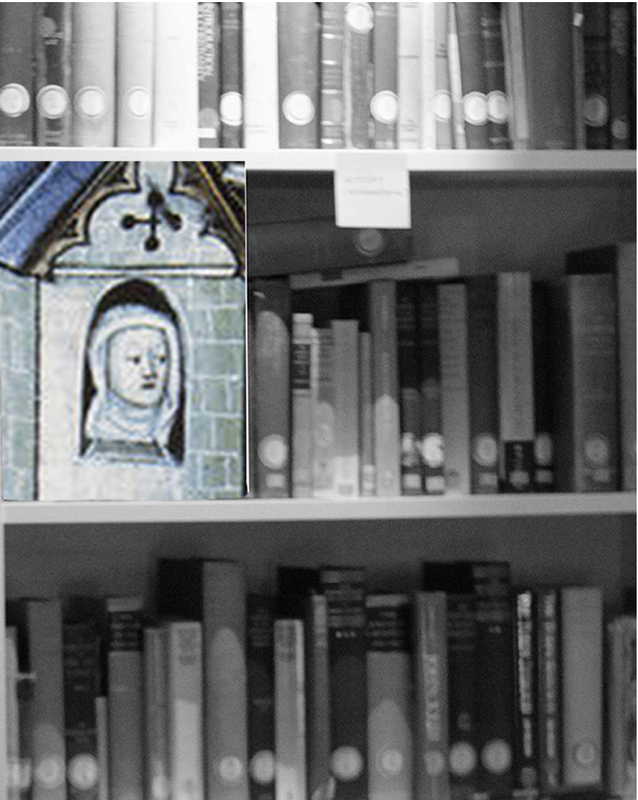 The LFTT Library Anchorhold1 is inhabited by the LFTT Anchoress in the church of the Museum. The Anchoress may be consulted and will assist you in seeking answers to your questions about the future. The Anchoress will be present at times to guide those consulting or the public may post their questions into the Anchorhold. Alms of food, books or other objects, that the visitor deems fair exchange, will be accepted by the Anchoress’s in return for her services. Working with the LFTT Library2 I will build an Anchorhold within the gallery using a selection of books, from the LFTT Library collection, which focus on mysticism. The public may select books from the Anchorhold walls, pose a question and using Bibliomancy (reading at random) seek an answer to a question they may have about the future. This work is part of an ongoing investigation within my practice and follows on from prior collaborations with the LFTT Library. The focus being ritual, collective action and the use of divinatory practices as strategies around the problem of ‘what is to be done?’ when we don’t know where to start.